Dear Bro Sis...Unfortunately no one talks about it in other countries except Pakistan about the drastic bike. Today i am going to talk about is Commuter motorbike made by Honda of Japan Honda CG 125 Powered by 124cc 97.6 cu in four stroke overhead valve single cylinder engine. This commuter having more options like CG 125, Deluxe 125 that is more efficient bike than the others in casuals use in country roads and for casual home works. This bike have the medium speed like in other countries some people wants high speed bike which have different disadvantages and similarly on the other hand that bikes cannot use for casual works that is only for racing games or other activities like that but the bike about which I am writing that is medium in speed neither very high speed nor very low which can easily be used in any activities. If you want to arrive at any place in short time than this bike will help you to reach on time because this bike has 125CC powerful Engine but this is not enough speed for casual country roads that’s why it prevents from any disadvantages or from disturbing the traffic rules. If we talk about its design or shape than we will come to know that it has more efficient looks than the other so many bikes. And this is not only looks well in show rooms but also looks very well under a man riding this bike looking dashing as well as efficient. If I tell about my own observation than I will say that I am currently using this bike and not only using this bike but also I observe its properties and I have come to know about its efficiency and average which is too good in my own pages but I will definitely suggest this bike to everyone. The most desirable thing in this bike is its voice which attracts the people and arise desire to ride this bike. This bike has already made his efficiency in the market and especially I am talking about the Pakistan country where people prefer this bike on the other. 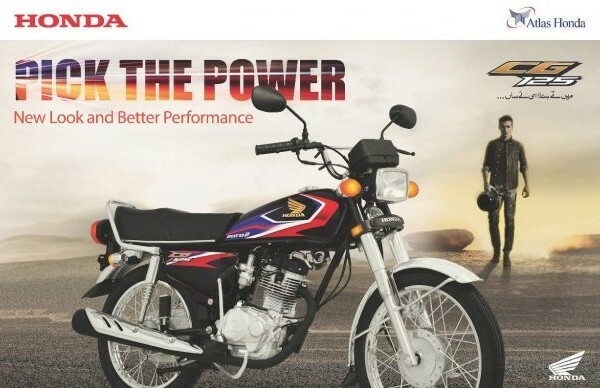 When we talk about the history of Honda CG 125 we get that its production is from 1976 to 2008 manufactured in Japan. Cg 125 was developed from CB 125 for 3rd world market. Electric were upgraded from 6V to 12V. Front drum brake was replaced by disc brake. Point ignition system was replaced by capacitor discharge ignition system. Chain casing was dropped in favor of a simpler chain guard. Longer chain life in favor of aesthetics.